Fully fire tested to BS5839-1: 2013, Sec 26.2e at 970ºC for 2 hours, IEC60331-2: 2009 at 830ºC for 2 hours, BS8434-2: 2003 + A2: 2009 at 970ºC for 3 hours; IEC331 at 750ºC for 3 hours and BS6387-11: 1994 CWZ at 950ºC for 3 hours. Fire rated enclosures are available as: CEX (heavy duty) stainless steel, ACEX stainless steel, CEP Polyester and CEA Aluminium. CE-TEK’s CEP (GRP), CEA (Aluminium), ACEX and CEX (stainless steel) ATEX/IECEx certified enclosures have been successfully tested to all the latest fire standards for use in buildings and infrastructure projects. When using fire rated cables on a project, the correct specification of junction boxes can often get overlooked. 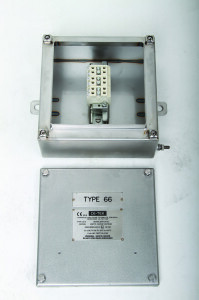 When fire strikes, it is not selective in the location junction boxes and to maintain system integrity it is imperative that junction boxes are specified to the same rating as the cable being used. 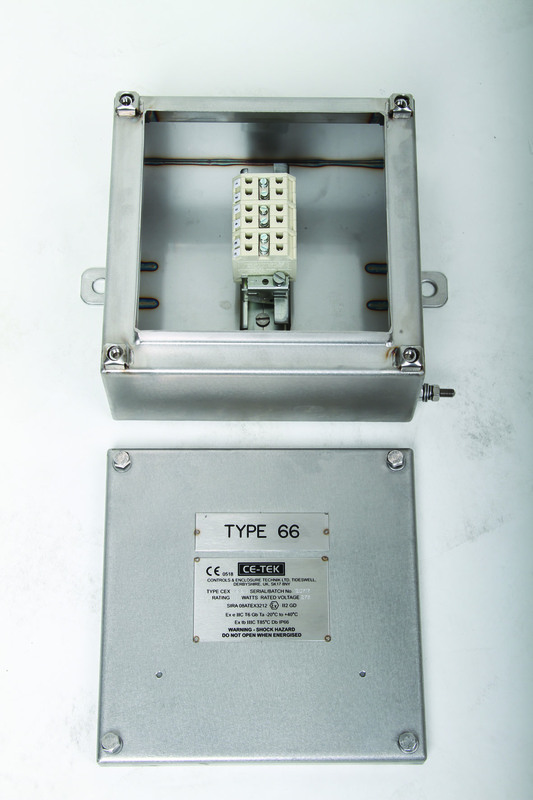 CE-TEK manufacture four series of fire rated junction boxes (CEX, ACEX, CEP and CEA), which are tested for fire to various standards including: BS5839-1: 2013 Sec 26.2e; BS EN 50200: 2006; IEC60331-2: 2009, BS8434-2: 2003 + A2: 2009; IEC331 and BS6387-11: 1994. CE-TEK Fire Rated Enclosures are apparatus certified under the ATEX 2014/34/EU Directive and IECEx standards for Ex e, Ex ia and Ex ib and with a temperature classification of T5 or T6. See fire-rated web pages for CEX, ACEX, CEP and CEA for additional information and enclosure sizes.